Saturday night singing show on BBC One hosted by Rob Beckett. A range of singers take to the stage in front of TV’s biggest judging panel – The 100. The unique panel is made up of artists and industry experts including judges captain Geri (Halliwell) Horner. If any of them like what they hear, they can press their buzzer, stand up and join in with the performance. The aim is to get the whole hundred up on their feet! ‘All Together Now’ returned for a Christmas Celebrity Special on Christmas Eve, ahead of series two which airs early 2019. The celebrity contestants battling it out for The 100’s votes included Gemma Collins, Chris Kamara, Sara Pascoe and Alison Hammond. 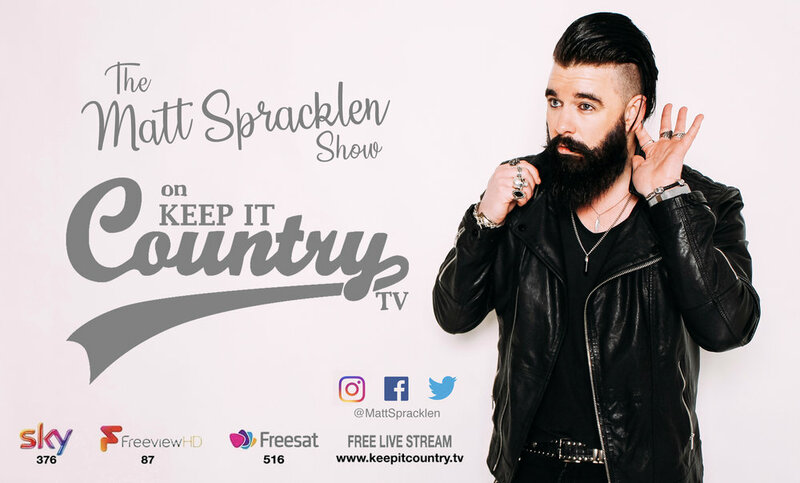 Matt hosted his own show on the Keep It Country TV channel on Sky, Freesat & Freeview where he played his favourite music spanning the entire spectrum of country music including Americana, Bluegrass & Folk. Artists from Foy Vance and The Wandering Hearts to Willie Nelson, Emmylou Harris and Brad Paisley.